It’s a new year, a fresh start, and the perfect time to make resolutions. You may not keep all those resolutions, you may slip up a little if you are trying to give up sweets or you vow to go to the gym every day. But for the most part, we try to adhere to the resolutions that concern our health. We get yearly physicals, get screened for high cholesterol, cancer, or diabetes, and promise ourselves we’ll eat healthier. We even get our vision tested. But when was the last time you had your hearing tested? Coweta Hearing Clinic is ready to give you that annual hearing test and help you stay on the path to healthy hearing. Nearly 48 million Americans are experiencing some type of hearing loss. Hearing loss may be a natural product of aging, but hearing loss is experienced across a wide age range spectrum. About 12.5% of children in America between the ages of 6 and 19 already have had their hearing permanently damaged from overexposure to loud noise. If you’re a parent telling your children to keep the volume of their personal listening devices at a reasonable level, you are on the right track. Now be a good role model and keep yours at a reasonable level even if you think the louder volume is helping your workout or helping you run father. By age 40, one in 10 adults will experience hearing loss, and for Americans over the age of 65, about 30 to 40% are experiencing hearing loss. Roughly 50% of adults over the age of 75 have some type of hearing loss. Sadly, many adults wait many years to treat their hearing loss, and choose to live with debilitating hearing loss. Untreated hearing loss means more than just having to turn the volume up on the TV. If you’re experiencing hearing loss due to aging, you start losing the higher ranges first. You don’t’ hear the birds chirping and you can’t hear children’s voices and the voices of adults that fall in the higher registers. Maybe those things don’t make a difference to you – but do you want to miss a whispered “I love you” from a loved one? Will you start skipping social situations that keep you engaged and your mind active because you have trouble understanding conversations? Untreated hearing loss has also been found to lead to sleep apnea, high blood pressure, heart disease, early onset dementia and a rapid decline in cognitive functions. Untreated hearing loss can decrease your earning power because workmates or your boss might think you are losing focus when you can’t hear and understand what is being said. Hearing issues can also lead to social isolation and friction at home as you struggle to communicate with loved ones and engage in meaningful conversation. You wouldn’t try to function without glasses or contact lenses if you couldn’t see. So why do we not think to test our hearing, or find out how hearing devices could change our lives? Are you turning up the volume of the television louder than most people would find comfortable? Are you asking people to repeat themselves? Do you have trouble understanding phone conversations? Is it a problem understanding a speaker at a conference or meeting with noise in the room? Do you have trouble hearing the server at a restaurant if the environment is noisy? Do you find yourself avoiding social situations because you think you won’t be able to understand conversations? If you’ve answered yes to even two of these questions, then you need to be taking better care of your hearing health. You’re not hearing as clearly as you used to, and it’s time to schedule an annual hearing test. With annual hearing testing you can establish a baseline for your hearing, and be proactive about your hearing health the moment anything changes. Every year there are exciting new technological advances involving hearing aids and other devices to assist your hearing, and hearing aids are sophisticated marvels that are easy to wear and adapt to. 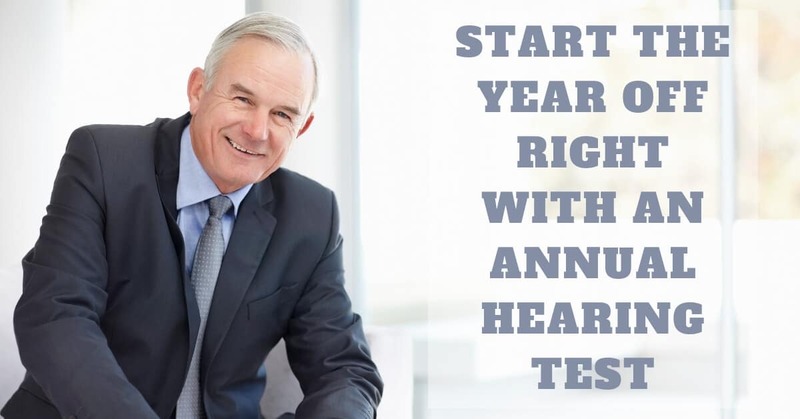 There’s no reason why an annual hearing test shouldn’t be part of your health regime. Call Coweta Hearing Clinic today and get that test scheduled!